How Can I Protect My Drums from Temperature Changes? I'm planning on putting my set in my detached garage just outside the house. But i live in Oklahoma and the temperature in ALWAYS changing. what is the best way to keep the set covered, and to keep it from changing temps drastically???? 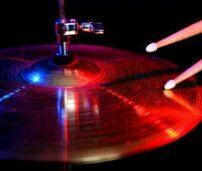 I know that drastic tempt changes can effect the cymbals and the wood of the drums, and that could mean constantly "retuning". so like i said, whats the best way to cover, and protect it from drastic temp changes???? This would, of course, not be the ideal place to keep your drums. No covering will protect them from temperature changes. Changes in humidity are even more damaging than temperature changes. The wood needs a stable humidity and can not be kept in an environment that is too dry or too humid. At the very least, you need to insulate the garage and provide heat in the Winter and cool air in the Summer. It would be good to invest in a humidity control unit. The Summers in Oklahoma can be dry and brutal to wooden drums.